Recently, the brother of martyred IAF pilot, Sameer Abrol, shone light on the cyclical nature of the death of test pilots in India through a heart-wrenching poem. It was shared by many as a sign of standing by the grieving family. And now, Sameer’s wife, Garima Abrol has spoken up to question the Government’s stand regarding this incident. 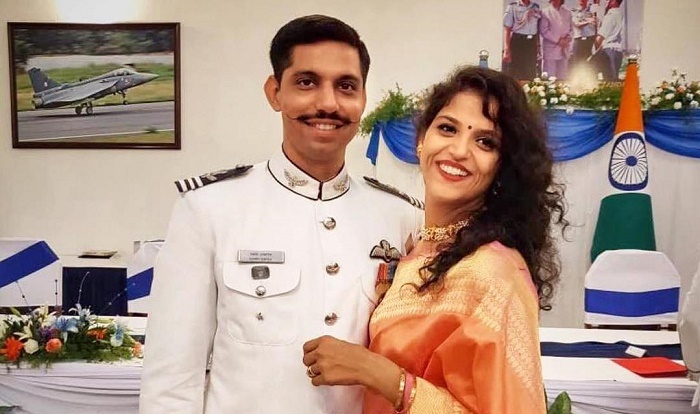 In a heartbreaking Facebook post, Squadron Leader Sameer Abrol’s wife, Garima Abrol talked about their relationship and questioned the system that keeps taking lives. The post was shared by journalist Shiv Aroor on Twitter and netizens backed up her sentiments, whilst sending her love and support during these hard times. Diplomatic decisions between countries are made by politicians, and they never seem to be able to end wars and the need for these brave men to jump into death machines. So, maybe from now onward, they should accompany them into the battlefield or these deadly test flights. At least that’ll urge them to get the best equipment because their lives would be on the line then as well.